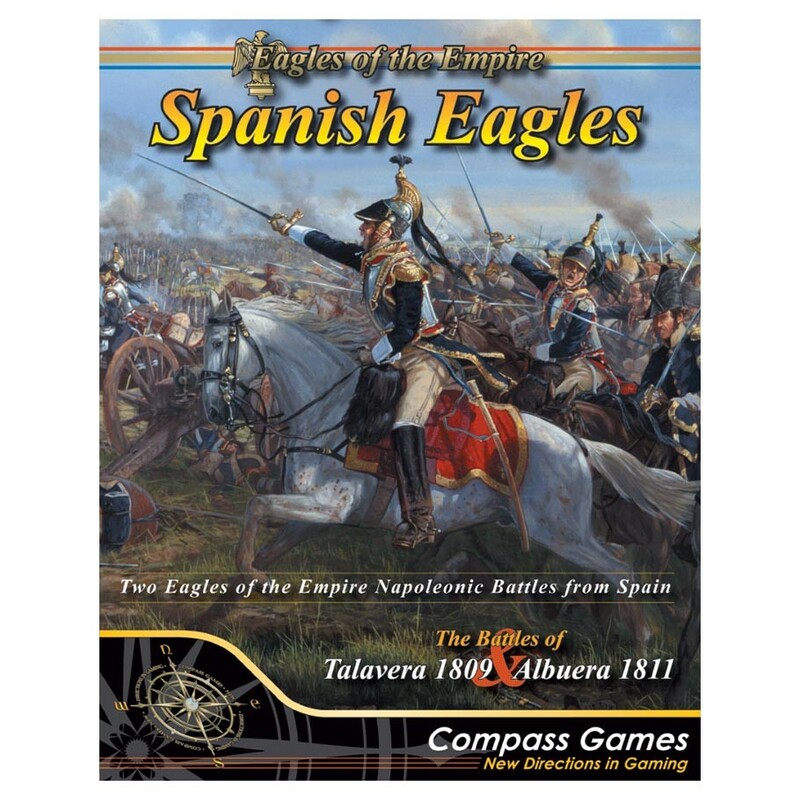 Spanish Eagles showcases two of the most notable battles from Napoleon’s war in Spain; Talavera, fought in July of 1809, and Albuera, fought in May of 1811. Both battles promised decisive outcomes and were among the largest fought on the Iberian Peninsula. Both battles feature an alternate scenario so players can explore the outcomes given some twists in fate. The Eagles of the Empire Series is a Divisional level series of games based on the battles which took place during the 18th and 19th centuries, in which players are cast in the role of Field Commander. The series is built upon three key concepts: Command and Control; effects of terrain upon formations and maneuver; and other asymmetrical events outside a commander’s control. Understanding and maximizing the use of these concepts is the key to fighting the Eagles’ battles.